Integration is the new challenge Greek society and the state is facing and it is also a challenge for Europe as a whole, said the Greek Secretary General of Migration Policy, Miltiadis Klapas during his opening speech at the Conference “Migration flows and integration policies” that was organised in Athens by ESPON and INTERACT 22-23 November. The event brought together about 100 European stakeholders and policymakers to discuss the challenges, solutions, and tools related to the integration of asylum seekers in Europe. The refugee crisis in 2015 led to heated debates in most EU countries and at European level and highlighted the need for reliable data. Analyses that are both context-specific and connected to the global dynamics of migration are crucial to determine the effects of migration. 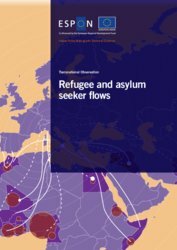 ESPON has responded to this need by providing data from two undergoing research projects on the “Impacts of Refugee Flows to Territorial Development in Europe” and the “Territorial and Urban Potentials Connected to Migration and Refugee Flows”. The data is related to the origins of asylum seekers, the European regions that are more attractive to them, their integration into the labour market and the perception EU citizens have about them. The studies also analyse some best practices from Italy, Spain, Portugal and Athens related to the hosting and integration policies that local authorities have developed in cooperation with the state administration, NGOs and the private sector. “Migrants are mainly attracted to cities and we need to understand the role that different actors play to facilitate integration in cities. 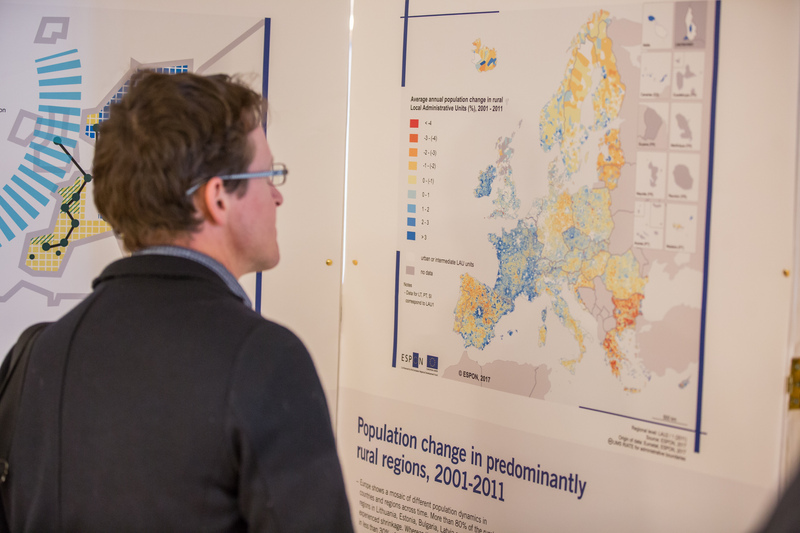 We also need more data at regional and city levels to better understand the flows and their effects on territorial cohesion” said Laurent Frideres, ESPON’s Head of Unit for evidence and outreach. “We need to assess running projects and mainstream the most successful results, find a way to evaluate skills and competencies of refugees and migrants – we need to create better and comparable data”, he added. The speakers during the event, mainly representing local authorities from Greece, Italy, and Spain, focused on the challenges linked to integration strategies that should target both migrants and the local populations and they highlighted that there is not a one-size-fits-all solution. They argued for the need for multilevel and cross-sectoral approaches that will combine housing, education, health, and skills development. This can only be achieved, through multi-level governance that builds bridges between top-down policies (e.g. 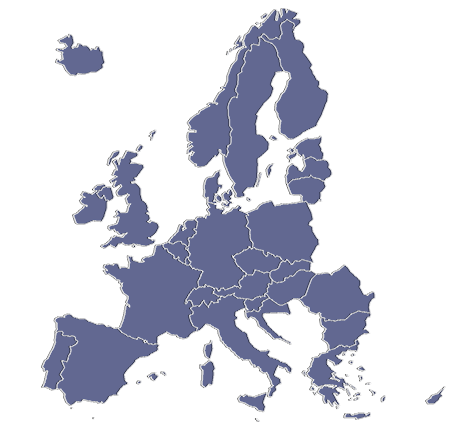 regulation/funding and national integration strategies) and bottom-up initiatives (e.g. on hosting, social care initiatives by municipalities in Greece and Italy). “Migration cannot be addressed only at the local or even national level. It is a global issue, that can only be tackled through synergies and common initiatives that take into account its territorial dimension,” concluded Mr. Frideres. 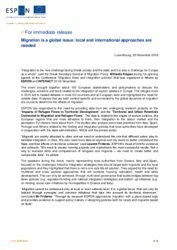 “Through its research, ESPON approaches migration with a place-based logic and provides evidence to support policymakers in designing policies both for locals and migrants based on facts”.